De Breed & Partners supports innovative businesses. Our main aim is to finance innovation through, for example, the application and optimisation of subsidies, credits and the acquisition of tax advantages (salary and income taxation) for innovative companies. 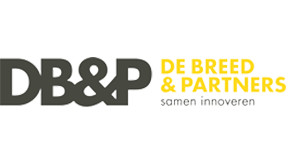 De Breed & Partners has over 30 years of experience and works with innovative companies in the Netherlands. De Breed & Partners’ services lay mainly in that area where companies lack the expertise necessary for success in innovating. We support innovative companies with applications for subsidies so they can realise an innovative project. Above all, De Breed & Partners offers active leadership in the managing of the most important forms of capital investment, namely, personnel costs.